SOME 35 Grassroots Development Officers (GDOs) from across the country converged in San Carlos City for the week-long Fifa Member Association Grassroots ProActive Coaching Course/Sixth Philippine Football Federation (PFF) GDO Course set on August 7 to 11, 2018. This event is part of the PFF grassroots development program to continue developing football instructors and coaches nationwide, said PFF regional technical director for Visayas John Carmona. He added that each FA recommends one GDO to conduct grassroots course and festivals in their respective areas. PFF education department head Aris Caslib and PFF Technical director Marlon Maro will also arrive today for the course. 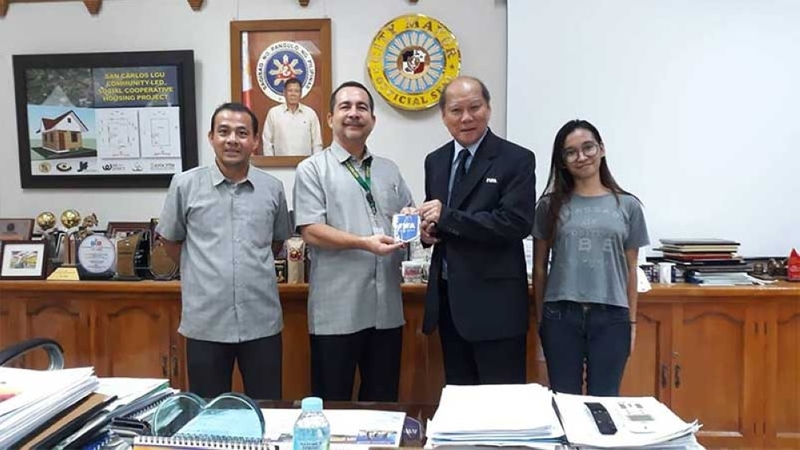 Leading the course is Fifa instructor Nyim Keong Yap, who paid a courtesy visit to San Carlos City Mayor Gerardo Valmayor.